As the Supreme Court wrapped up their session, a number of controversial decisions on the issues of our day came down. And the retirement of Justice Kennedy did little to assuage my despondency. But, somehow it was even more painful because June 26 marked the 40th anniversary of one of the most important decisions the Supreme Court has ever made in our realm of work. And in one those ironic then-and-now moments, it appears that National Security Advisor John Bolton was on the losing Penn Central legal team early on in his career. The Grand Central Terminal in New York at noon. Photo: Wikimedia Commons, Kai Pilger. 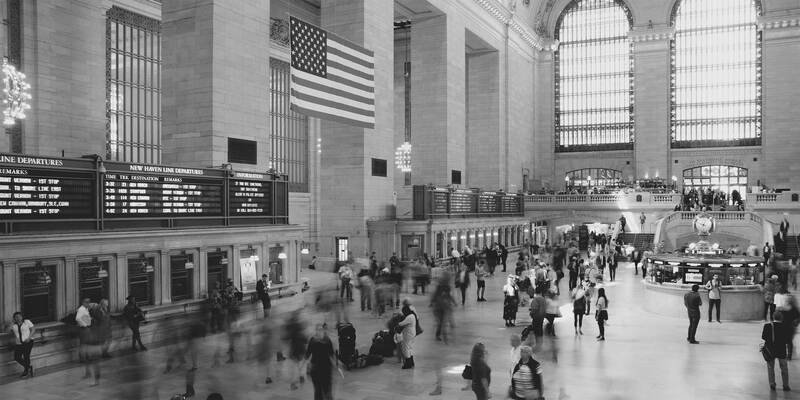 On that day in 1978, the Supreme Court rejected a lower court’s decision that would have irrevocably damaged the Grand Central we know and love. Instead, the highest court in the land protected not just the Terminal but also the New York City Landmark Law by affirming its constitutionality. More than just a New York moment, this ruling affected preservation laws across the country. Today, there are more than 500 municipalities with these laws, across all fifty states. In a discussion just this week with a professor at Tulane Law School, I learned that his course starts with the Grand Central case. I am sure he is not alone, given its significance. A victory lap for the Penn Central Transportation Co. v. New York City decision is required to stave off gloom and remember that justice can triumph. Hats off to the many folks who contributed to our success, not least of all Kent Barwick, Margot Wellington, Laurie Beckelman, and Lex Lalli. And thanks to those who were instrumental in the effort, but are no longer with us, Jacqueline Kennedy Onassis, Brendan Gill, and Fred Papert, as well as key elected officials like Senator Moynihan and then-Congressman Koch. The lessons of this win persist not just in the legal consequences but in the lessons for advocacy more broadly. The fight that preceded the Supreme Court deliberations lasted for many years and involved a near constant stream of public engagement around the issue. This was the mid-1970s and the tools were a little different then then they are now, for both better and worse. The ease of the internet and social media is alluring but we have lost the traditional media that once could be relied on for reaching a steady audience with more in-depth information. Whatever the realities of our quiver of arrows, the principles are the same. Craft a compelling, urgent message and engage both a broad constituency as well as key influencers. And perseverance is always key, especially when you are a “David” to the proverbial “Goliath.” And finally, passion is critical. If the harm to the city that we love is profound, the effort is worth it. I hope that you will join us in late September we open a month-long exhibition in the Terminal’s Vanderbilt Hall tracing the history of the Grand Central case and its 1998 restoration, as well as MAS’s 125th Anniversary. More on that as the summer progresses. In the meantime, I prescribe a lot of beach time to keep us going! Thanks as always for your support of MAS.